Ludo is an English adaptation of the Indian game Pachisi. It has somewhat contemptuous been described as an westernized, simplified and less skillful version of Pachisi, and only suited as a family or children's game. It is a all-against-all game. Two, three, or four-player game. Each player has four pieces. The entry point is a corner area next to his/her home track. 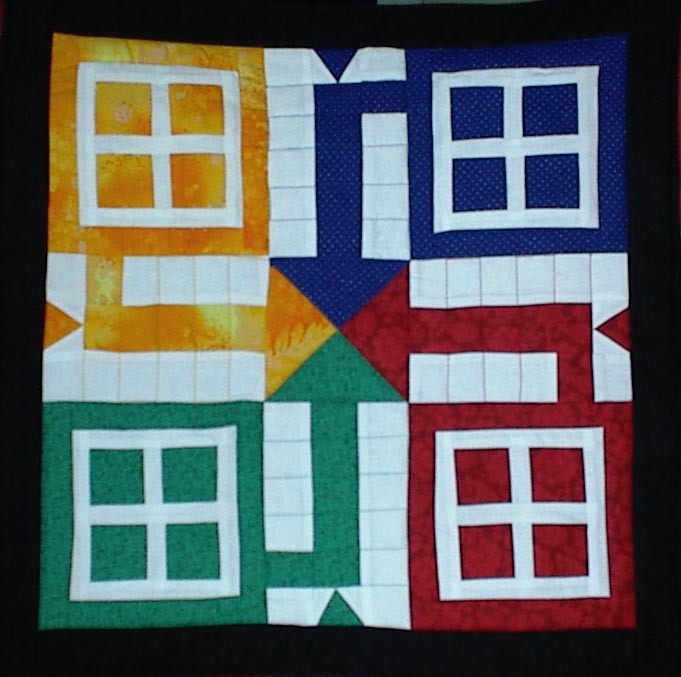 Only one die is thrown and pieces only enter upon the throw of six. A throw of six is also rewarded with an extra turn. Two pieces of the same colour can not occupy the same square. The pieces need an exact throw to get home. There is no partnership game, safety zones or blockades. The minimum of strategy in the game makes it of primary interest to younger children. 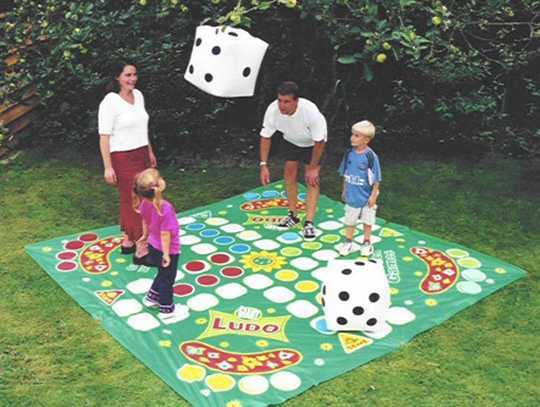 Ludo (and it's variations) are very popular in large parts of Europe. It is also known as Mensch Ärgere dich nicht (Germany/1910), Mens-erger-je-niet (the Netherlands), Parchis (Spain), Le Jeu de Dada or Petits Chevaux (France), Non t'arrabbiare (Italy), Fia med knuff (Sweden), Parqués (Colombia). Eile mit Weile (travelling theme variant from late nineteenth-century Germany) is popular in Switzerland, as does its Italian equivalent Chi va Piano va Sano! Ludo was first published in England in 1896 (Ludo is Latin for "I play" - ludus). The game was patented as patent 14636. A game called Puchese was published in England as early as 11. April 1862. 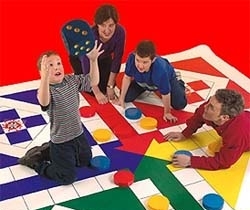 It is not known which connection there is between Puchese and Ludo.